GRS has obtained the Provisional Acceptance Certificate (PAC) for the Sobral I and Sertao I projects. 11/16/2017 – The Brazilian projects have been carried out in the state of Piauí by companies that promote both parks, belonging to Gas Natural Fenosa, through its subsidiary Global Power Generation (GPG) and participated by GRS. 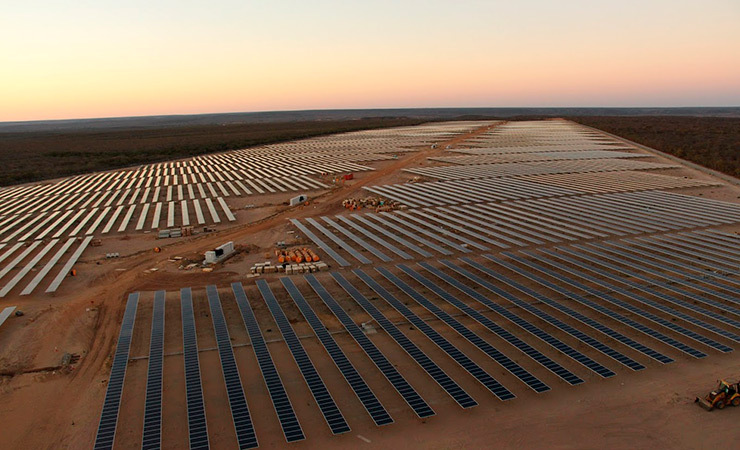 The execution has been carried out in less than 9 months until the COD and has included the construction of both PV plants of 34,75 MWp each in 90 Ha. of land, with its corresponding booster substations, transmission lines and concessionaire station of each site. The GRS Construction team thanks all those involved in both projects for their participation and support. From this moment, work begins to be carried out by the GRS O&M team, which includes all the preventive and corrective maintenance work, with spare parts management, monitoring every day of the year and availability guarantee.